40 minutes charger for the BP-70MH. It also charges the BP-70E and BP-70EI in 25 minutes. 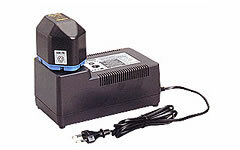 CH-35EMC is an EMC approved charger in accordance with related CE and EMC directives. Do not use charger for any other devices.